Lush tropical gardens, the sound of crashing waterfalls, and striking views of Costa Rica’s famed Arenal Volcano leave guests feeling as though they’ve been transported into the midst of a hidden rainforest jungle; and yet, all of the comforts and amenities of a well tended resort keep the entire gang happy and contented. Just a few miles outside of La Fortuna, and sitting pretty at the base of Arenal Volcano, Volcano Lodge, Hotel & Thermal Experience is removed enough to give a feeling of quiet seclusion, and yet close enough to all of the area activities, restaurants, nightlife, and beauty, to offer the fun, excitement and discovery that this popular Costa Rica vacation destination has to offer. Within the resort, couples, families and groups of friends alike will find all they need to enjoy the perfect Costa Rica travel experience. With its rustic, yet clean and modern vibe, lush botanic gardens, locally sourced wood finishings, river stones, and traditional Costa Rican food, those visiting Volcano Lodge, Hotel & Thermal Experience will delight in a truly authentic Costa Rican experience. Comfortable accommodations offer simplicity, relaxation and privacy; all you could need, and more, in La Fortuna, Costa Rica. Every guest room in the resort at Volcano Lodge enjoys the seclusion of a private terrace with full or partial views of Arenal Volcano looming majestically above, the botanic gardens, or both. 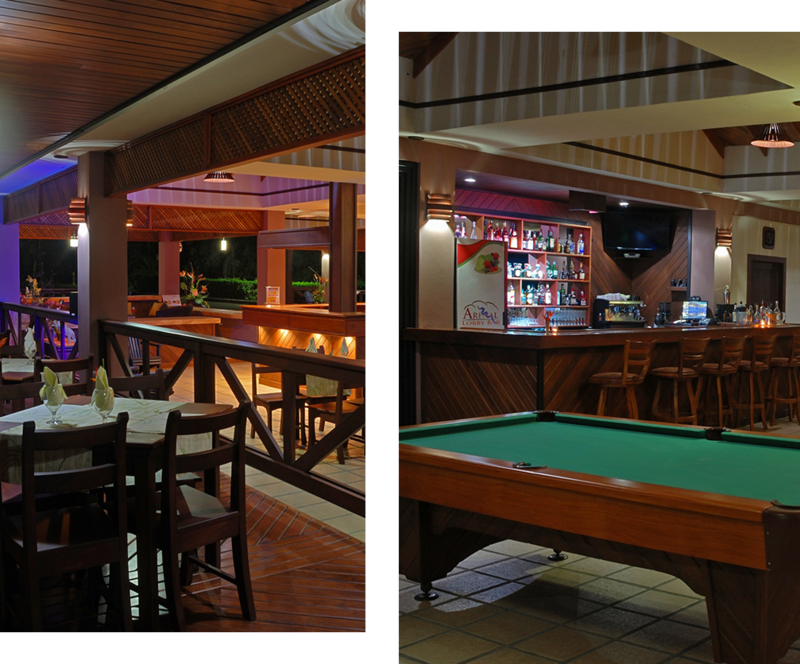 The perfect Costa Rica vacation requires good food and drink; not to worry: we've got you covered! 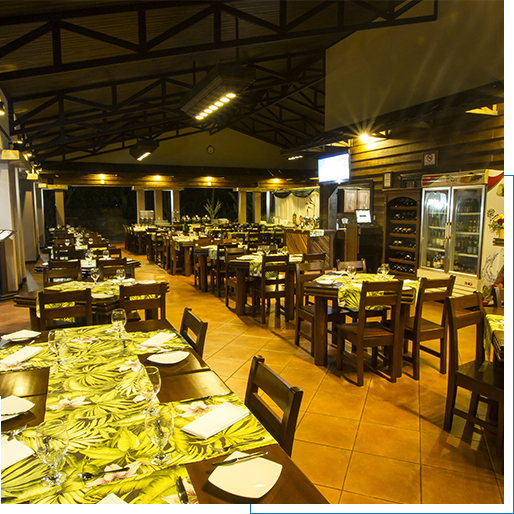 When it comes to the perfect Costa Rica vacation, we understand the importance of good food, good wine, and refreshing cocktails, as well as mocktails. 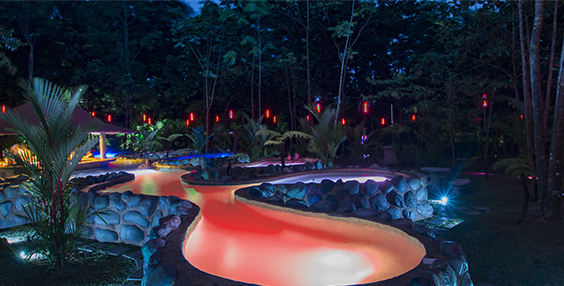 Volcano Lodge, Hotel & Thermal Experience is the perfect solution for a wellness vacation experience in La Fortuna, Costa Rica! Choose from these exciting activities & tours! Book in advance of arrival and save! 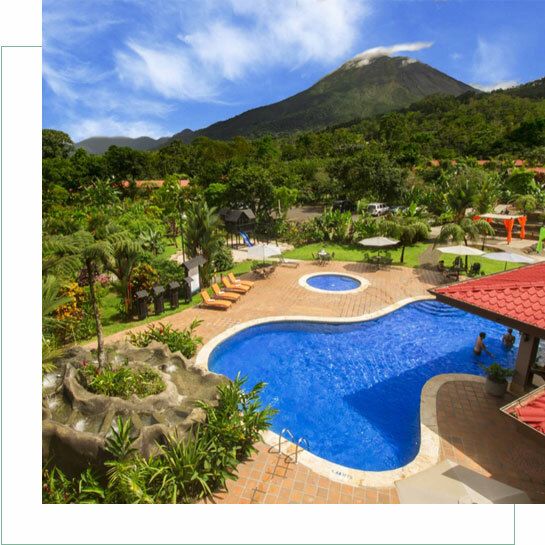 La Fortuna, Costa Rica is a wonderful place for travelers from around the globe to experience a mountain of exciting, and adventure some, activities. 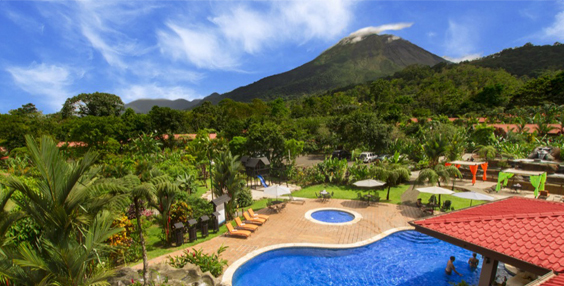 Your destination guide for La Fortuna, Costa Rica and Volcano Lodge, Hotel & Thermal Experience. La Fortuna is a small Costa Rica town, northwest of the capital, San Jose, with a population of just under 20,000 people.